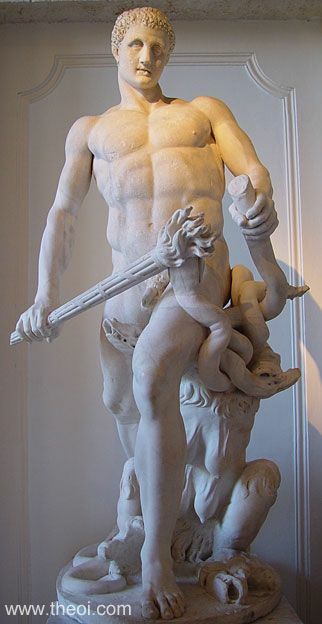 Heracles (Roman Hercules) battles the Lernaean Hydra. The hero is armed with a torch and grasps the serpent-headed monster by the neck. Another neck is amusingly wedged between his thighs.